You don’t often hear about the Honolulu Cooler these days. In fact, you may never have heard of it at all. But if you like pineapple, lime and peach in a drink that’s not too strong, this is one you definitely need to try. This drink also inspires creative presentation – it’s exactly the sort of cocktail that deserves an umbrella, sparklers, of skewered fruit pieces on a long toothpick. Unlike most cocktails, the Honolulu Cooler is great served at room temperature or chilled, making it one of those rare cocktails you can whip up in a hurry when you’ve just gotten your ingredients home from the store. It’s a perfect after dinner drink, or even dessert replacement. And it looks great in a hat! You get plenty of fruit juice with this one, which makes it a satisfying, hydrating drink to sip along. 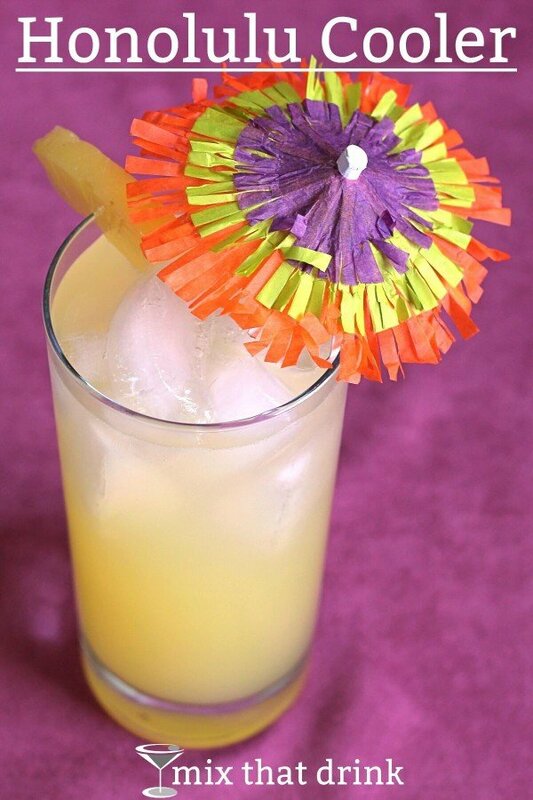 It’s similar to the Cabo Cocktail, which blends tequila with a less generous helping of pineapple and lime, and also the Cactus Bowl, which puts eight ounces of pineapple juice with lime, amaretto and spiced rum. If you want to enjoy this drink along with a meal, try it with something teriyaki, like these Teriyaki Beef Skewers from High Heels and Grills. 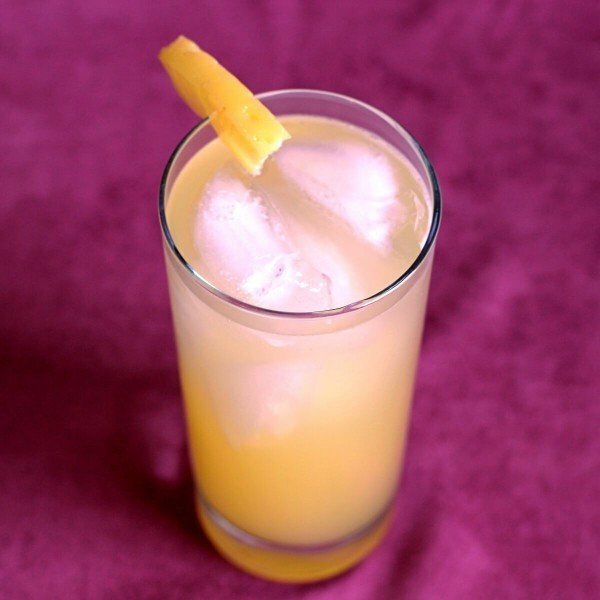 The smoky, savory taste of teriyaki works perfectly in contrast with the sweet pineapple juice in the cocktail. And if you’re wanting a dessert to go with your cocktail, try this Coconut Cake from Homemade Interest. It uses sour cream to keep the cake very moist (trust me – if you’ve never had a cake with sour cream hidden among the ingredients, this is a trick that works without giving your cake any odd flavor). Fill a tall (Collins) glass with ice. Pour in the lime juice and Southern Comfort. Then pour in your pineapple juice and stir.